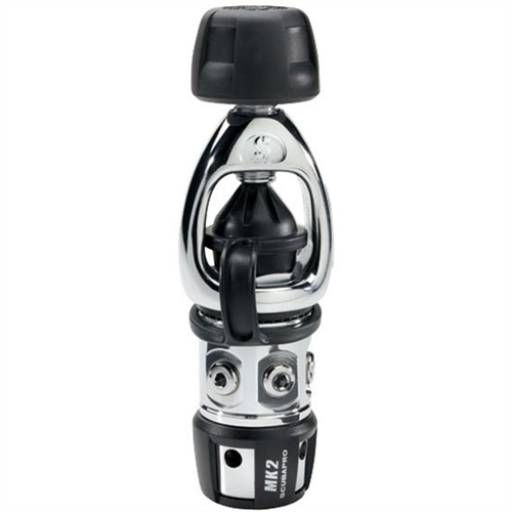 Classic downstream piston design features a chrome-plated brass body with one high pressure and four low pressure ports. Patented XTIS (Extended Thermal Insulating System) fully isolates the mechanical elements from the cold, increasing freezing resistance by an average of 50 percent over its predecessor without compromising breathing performance. Additional internal technical improvements include a new spring insulating bushing and coating, a new insulating piston bushing, a new insulating sleeve and a new antifreeze cap, all of which contribute to the increase in freezing resistance. Key insulation system components are visible in blue. Chrome-plated brass body is 3.5mm smaller than its predecessor but houses an oversized piston by 1.6mm that provides better breat ing performance by increasing airflow by 15 percent. Stainless steel removable orifice allows for easier maintenance while extending regulator life. 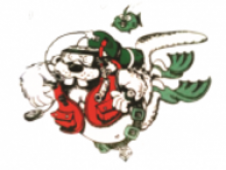 Meets new EN250-2014 standards for cold-water breathing performance. Weight: INT 232 - 23.6oz/670g; /DIN 300 -15.9oz/450g. Airflow at 2900psi/200bar (l/m/SCFM): 3000/106.